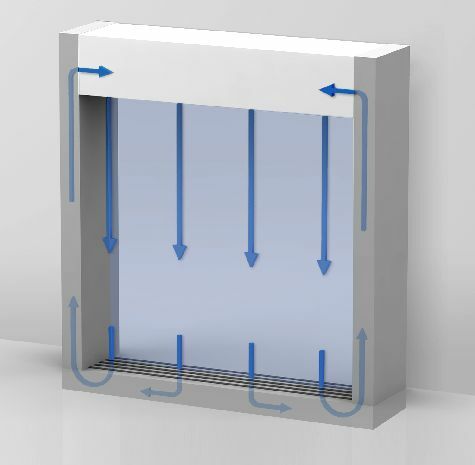 Generally the air entering through the inlet grille, sometimes with filter functions, is compressed by internal fans and forced thought an air outlet, which is directed at the open doorway. The filter protects the interior components (heat exchanger, fans, electronics, etc.) from dust and particles. The fans of the air curtain can be direct or belt driven. The most frequently used types are centrifugal, axial and cross-flow. 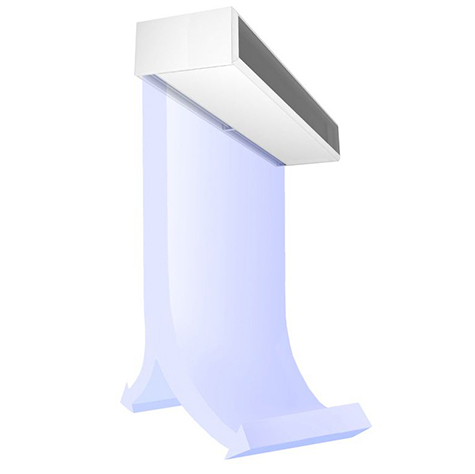 Some air outlets and/or lamellas can be adjustable to increase the performance of the air curtain according to each situation. Heated air curtains have a coil (electric, hot/chilled water, steam, indirect or direct gas, direct expansion, etc.) to heat or cool the jet. Heating is used to avoid people feeling a cold jet of air when crossing the doorway and also to heat the volume of air coming in at the entrance. 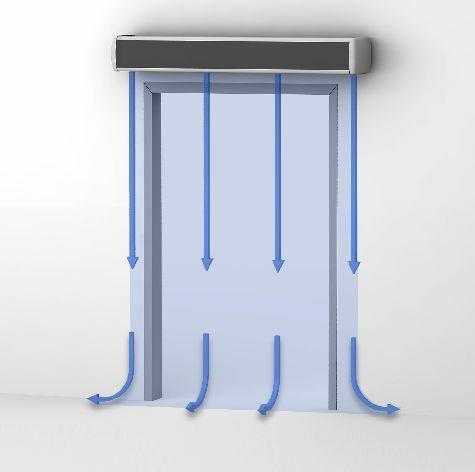 Most air curtains are installed horizontally, across the top of the opening, and air is expelled from top to bottom of the door. 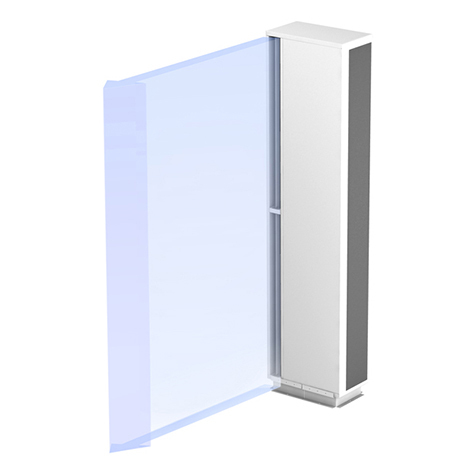 Vertical air curtains can be installed in one or both sides of the door. Horizontal installation integrated on the floor is the most effective in thermodynamic terms and at the same time the most expensive one to install and problematic where public pedestrian traffic crosses the doorway for obvious reasons. So it’s only used in some special industrial applications. 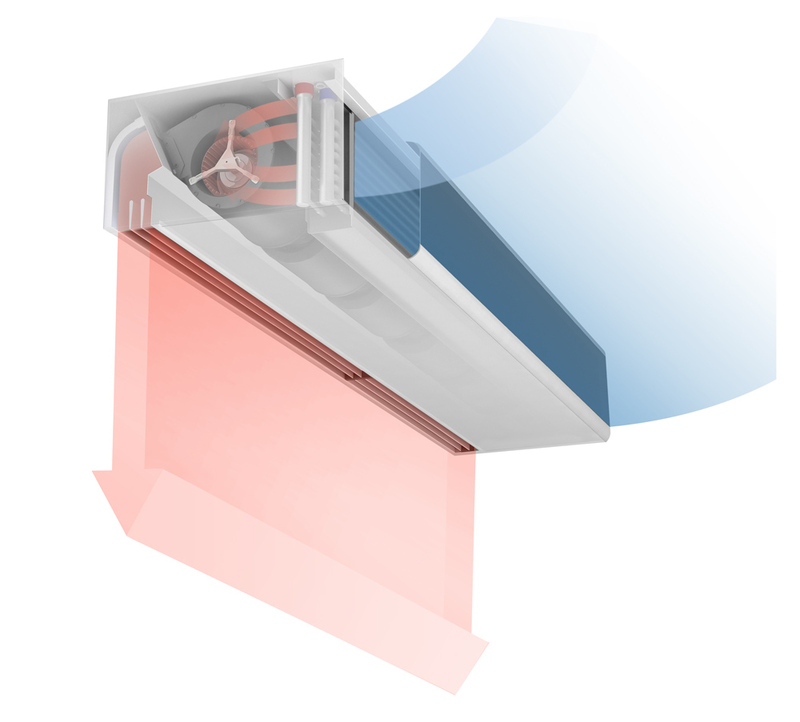 Types of air curtains: non-recirculating or recirculating. 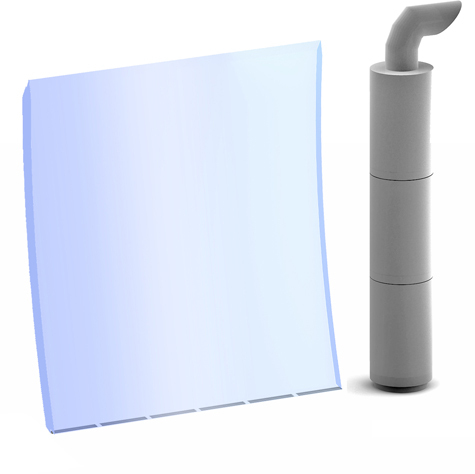 A non-recirculating unit discharges the air to the environment. Otherwise recirculating collect and return the air from the discharged air. Recirculating air curtains are more efficient but the majority of installations are non-recirculating due to lower costs.